Volkswagen Passat 2.0 BiTDI SCR GT 4MOTION 5dr DSG [Panoramic Roof] 2019 Review | What Car? What Car? will save you at least £6,551, but our approved dealers could save you even more. 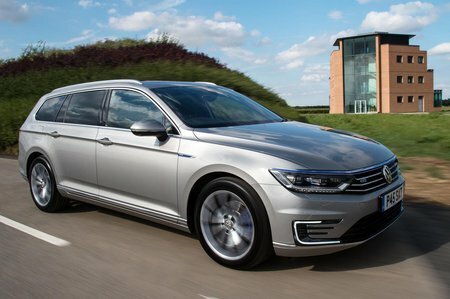 A good option if you want lots of kit, but at this price the Passat Estate is straying into the same territory as some more upmarket (albeit smaller and less well equipped) rivals. It comes with 18in wheels, a digital instrument cluster, leather and Alcantara upholstery and a panoramic sunroof. The most powerful petrol and diesel versions also get adjustable dampers and trapezoid exhaust pipes.